DA OGGI TECNOFFICE SOCIETA' CON ESPERIENZA PLURIDECENNALE NEL SETTORE BUSINESS OFFICE, PROFESSIONAL E SERVICE SOSTIENE LA NOSTRA PASSIONE PER IL TENNIS. 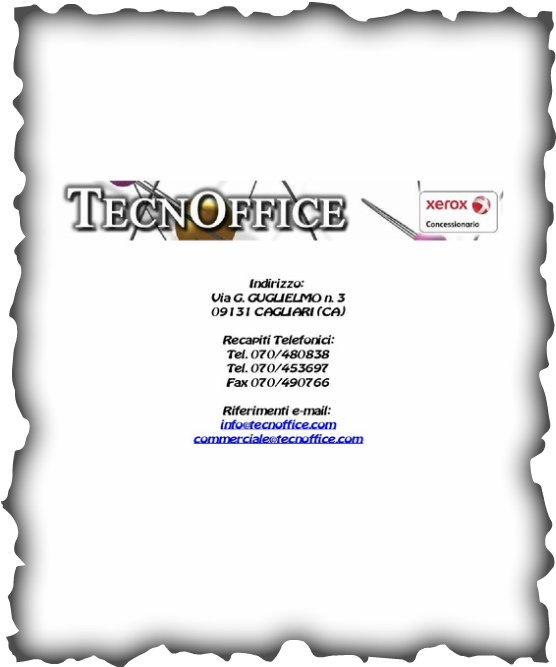 TECNOFFICE E' CONCESSIONARIO "XEROX" ACCREDITATO. PER ULTERIORI INFORMAZIONI VISITA IL SITO www.tecnoffice.com.